Dexterous, powerful, and hugely impressive, whales are some of the finest animals to grace our planet. The opportunity to watch whales in their habitat, or even share the water with these ocean giants, is a wildlife experience with few equals. Let me first start with a spot light on our very own brand title ‘Blue Lanka Tours’ – simply because we cannot miss the most interesting and capturing reality behind our brand; we are a pearl surrounded by the ocean. Not just the ocean but also the greatest life in it – the largest predators on our blue planet- WHALES; and impeccably one of the fundamental reasons for our tourist attraction to witness and cherish the experience of whale watching in Sri Lanka. First and foremost, whales are migratory species in the ocean depending on the weather and the abundance of food. There are heights in the migration of whales from December to February and again in March. In January, whales are known to be passing the South of Sri Lanka (Dondra), eastward to the Bay of Bengal. In April, the whales are travelling Westward, past the South of Sri Lanka, across the Maldives and on to up-wellings off Somalia, in the Arabian Sea around the Horn of Africa. The peak in Trincomalee will be when the whales have ‘arrived’ which is around February and March. The period from February to March has so far been brilliant for records of Sperm Whales and even Blue Whales. Whale watching in Sri Lanka during these peak times has been remarkably documented by the famous BBC short series – Blue Planet. In fact, in Sri Lanka whale watching has gained international acclaim for Sperm Whales and the best ever sightings of Blue Whales. With our passion for marine life, the welfare of the whales themselves is integral to our approach and defines our whale watching experiences. Where should you go whale watching in Sri Lanka? 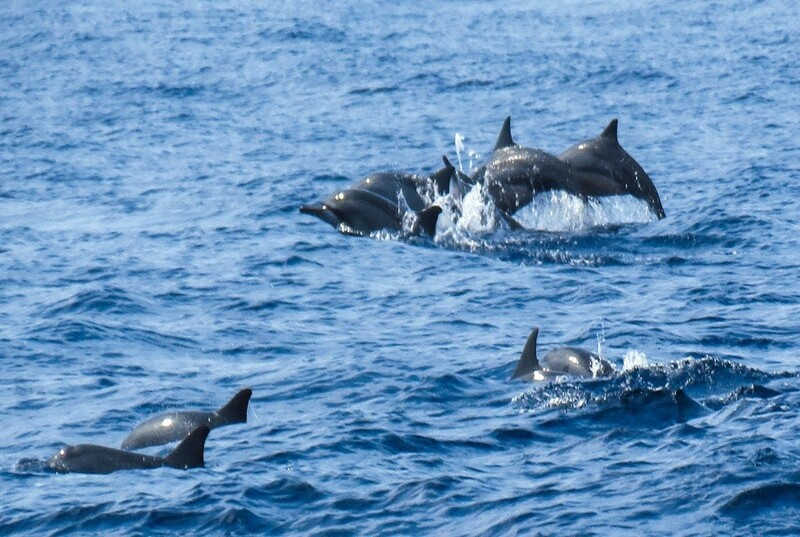 The Southern seas of Dondra head (the southernmost point in Sri Lanka) are the best for whale and dolphin watching in Sri Lanka. This is reasoning that the continental shelf is narrowest around Sri Lanka to the South of Dondra. It is also very much known for the best of whale watching infrastructures. Okay now let’s spare the usual scientific and the more boring details about the continental shelf and the depths etc. Now, the best of time for whale watching in Mirissa is December – April. When we say Whale watching Mirissa, we don’t mean just whales. Sri Lanka has the best species in its utmost natural habitat. Blue whales, Sperm Whales, Whale Sharks and even Killer Whales are spotted in Mirissa. Not just whales but the Mighty JAWS (sharks) and even the playful spinner Dolphins are always around the corner. Mirissa Whale watching is no mediocre. It is as showy and sumptuous as it can get that gives you goose bumps for life. Watching the largest mammal swim past you with its most glorious and sinewy fin is beyond what words could convey to you. There is always something magical about observing wildlife in their natural habitat. And it is our prime objective to lay down what’s best we got to offer to have a soulful experience while protecting the best creations of the world. Behold, you are about to hear the most spectacular and remarkable highlights of Trincomalee. Trincomalee Sri Lanka has one of the deepest natural harbors in the world. Splendid spotting of Blue Whales is promising and spectacular. In fact, Trincomalee is guaranteed to have 99% of Blue Whale sightings overriding the sailing in Mirissa. Trincomalee has been long known for its natural habitat of Blue Whales given the submarine canyons in the harbor. The best time to catch the fantastic beasts of the Indian deep blue oceans is from March – April. We personally recommend the first two weeks of March to have quite the dense population of Whales. Whales are largely migratory animals, and often the best encounters depend not only in being in the right place, but often also depend on being there at the right time. 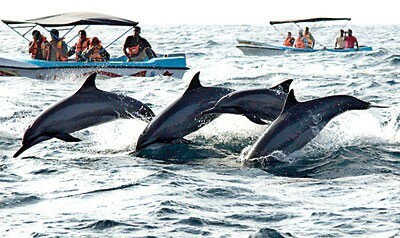 Most of the encounters of whales in Trincomalee are reported in the morning sea runs. Perhaps it also depends on how calm the sea is. However, more often than not, Trincomalee is your sea that shares space with the mighty blue whales. The spectacular, intelligent, social and complex, encounters with whales often represent a life defining moment for many of us. However, sought after those experiences, we believe passionately that the welfare of the whales themselves should be at the heart of any whale watching experience. We heartily and with much concern suggest that you work with whale watching operators that meet the highest standards, using knowledgeable guides that carefully observe and respond to the behavior of the whales, while adhering to local and international best practices with regards to whale watching experiences. When conducted in this manner, whale watching experiences can be both hugely rewarding and sustainable, leaving only the most minimal footprint and ensuring the health and well being of the whales is integral throughout. We as a team are here to provide you with the best interest at heart to experience the most splendid, unforgettable moments of your encounter with our fantastic ocean beasts- WHALES. Contact us www.bluelankatours.com for your tailor made bespoke tour services in Sri Lanka for the best of whale watching experiences, EVER!